Smooth warm vanilla will wrap your senses in the calm scent that is found in pure vanilla. 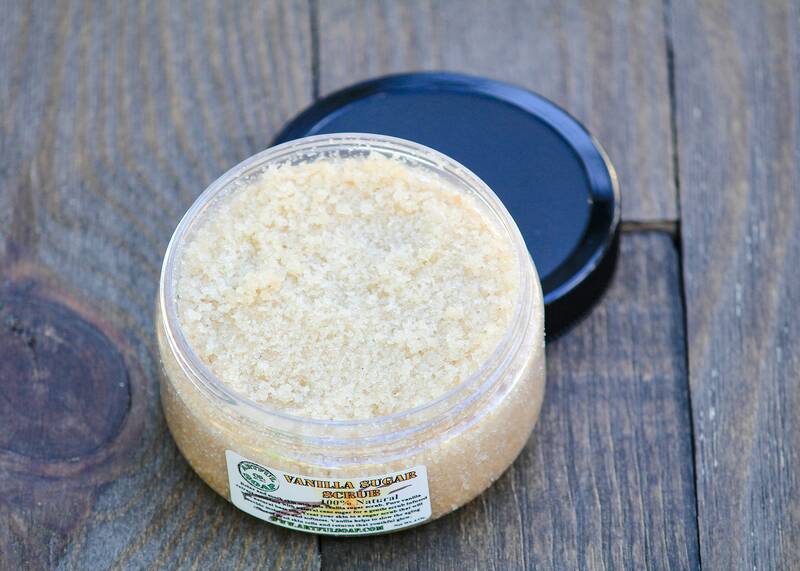 Great for the skin, our vanilla sugar scrub might make you a bit hungry as it smells like a vanilla sugar cookie! Try one today and see why we have a hard time keeping this in stock. Vanilla has anti-inflammatory properties which can help to soothe and calm irritated skin. Vanilla extract is also anti-bacterial and has been used to reduce skin infections and promote healing. 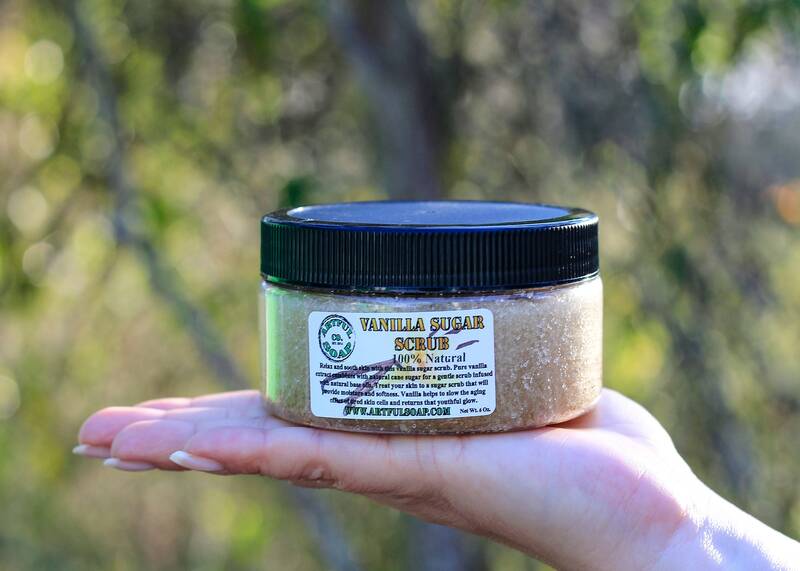 Vanilla Bean Extract contains Vanillin, a poly-phenol with powerful anti-oxidant properties. Anti-oxidants found in vanilla help to protect against free radical damage and the effects of environmental stresses on the skin. Vanilla also contains B vitamins, including niacin, thiamin, riboflavin, vitamin B6, and pantothenic acid; All of which help to maintain healthy looking skin. 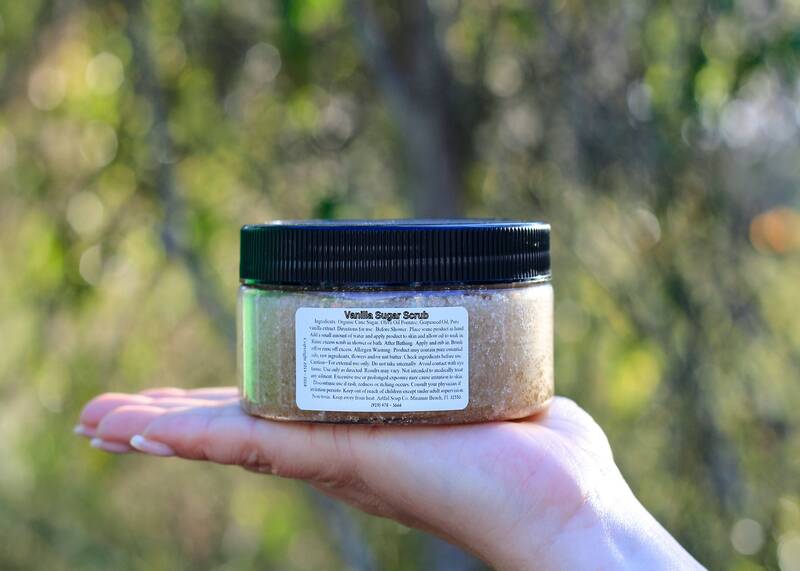 Ingredients: Organic Cane Sugar, Olive Oil Pomace, Grapeseed Oil, Pure vanilla extract. 8 oz. net wt.